This could be your lucky day! You see, I've been a photographer for the past 5 years or so and I've done a lot of landscapes and street photography. I kinda got the urge last year to start shooting weddings and I second shot with a couple of local photographers and learned a bunch of stuff and now I'm ready to go out on my own as a wedding photographer. I need to shoot more to build my portfolio so I'm offering great prices for the right clients. How much? I don't have a clue. Give me a shout and we'll figure out a fair price for the both of us. I've got some wicked photography skills and some high end equipment but I need to book some sessions. So I'm open to engagement, bridal, wedding, family beach portraits, anything to allow me to go out and build my portfolio. I'll give you an incredible deal. It'll be a win win for both of us. Give me a shout, if your interested. Thx in advance for giving me a shot. 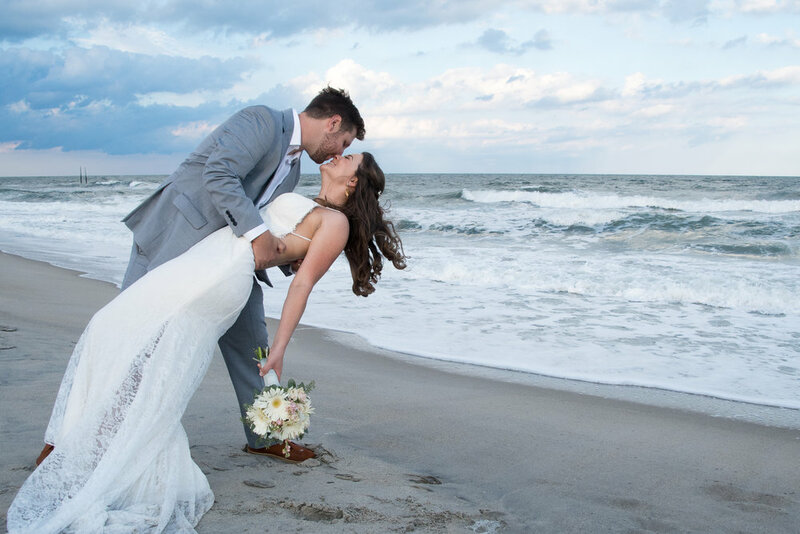 A classic pose, the Groom dipping his new Bride on the beach after the wedding ceremony. A brides gaze as she is holding her bouquet of pink roses. 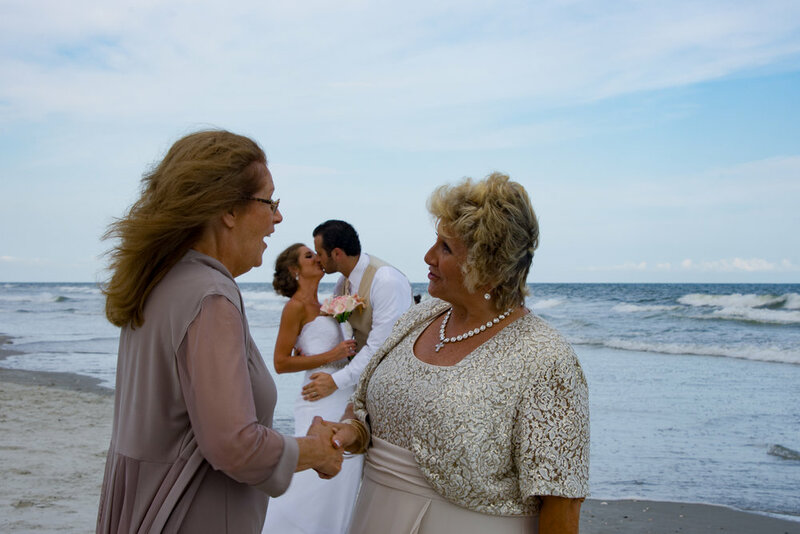 Beautiful fairway wedding ceremony set up overlooking intracoastal waterway. Sometimes timing is essential... Birds flying by as wedding guests wait for the ceremony to start on Carolina Beach North Carolina. Handcuffs at a wedding... Sure I'll capture that too! Mothers of the Bride and Groom getting to know each other a little better after the wedding. Holding hands watching the clouds over the beach and reflecting on their new life together after the beach wedding ceremony. Side note: I don't limit the number of photos that I take per hour, and you will receive a wide variety of images to choose from.